This last feature is undoubtedly the final accumulation of the "Technical Insight"'s & "Value Analyzer"'s power & strength into the RHBINVEST RHBScreener tool. It is the "Strategy Builder". 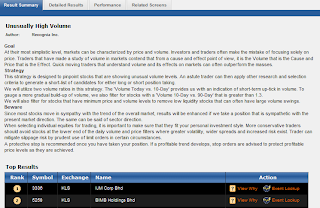 At first I thought it is something similar to the "Value Analyzer" as you can key in the financial criteria that you want in a search in its universe of stocks. 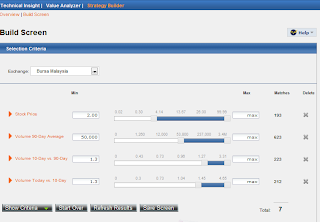 However, upon more inspection, this "Strategy Builder" is actually a tool for you to do some serious back-testing on your investment strategy either by using Technical Analysis or Fundamental Analysis or both. We will see more screenshots explaining more on this later on. 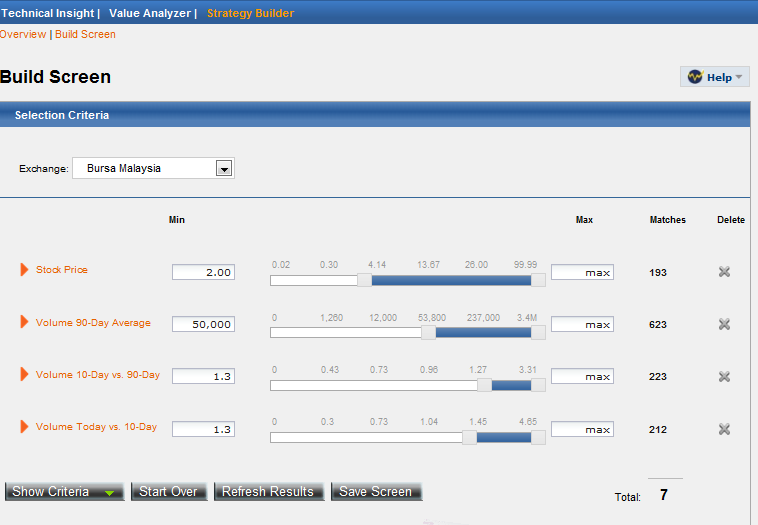 Here you can pick the criteria to build your screening filters. I just simply key in a few values and it comes out with 7 matches. 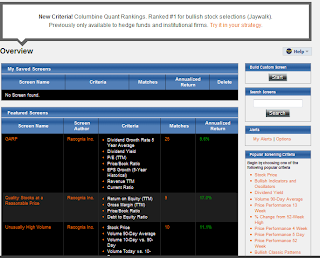 There is a fair amount of preset screening filters based on certain TA and FA signals provided by Recognia Inc which is actually the provider of the tool aka RHBScreener to RHBINVEST. And if you are still adamant on building your own filter, there is a lot of advanced settings that you can choose from and tweak to fine tune your stock picking strategy!! The result summary provides good explanation about the GOAL, STRATEGY & BEWARE (weakness) of the pre-build strategy. Every strategy has its strength and flaws, so this summary will give the user some fundamental idea on how the strategy should play out. 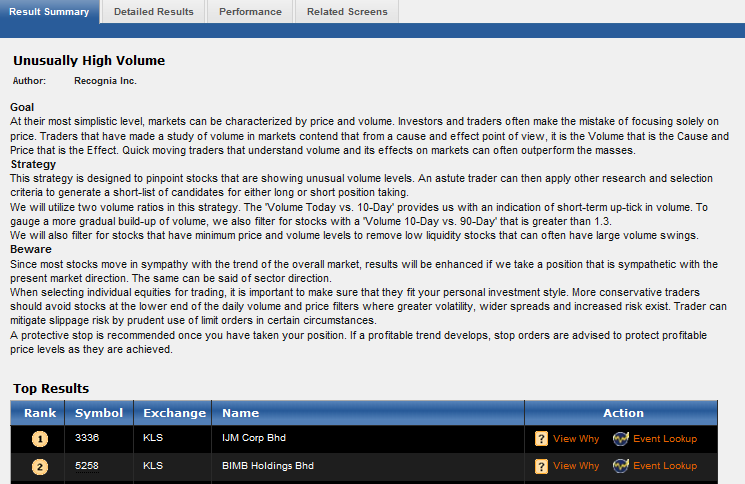 In the result page, clicking a stock will trigger the information below to be displayed. It basically shows how the stock measure up and fulfilled the criterias specified in the selected strategy. 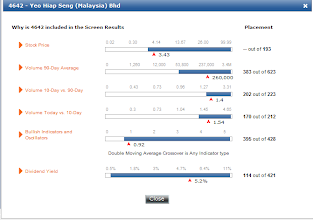 More detailed results selection tab. Performance tab is where you can do some serious back-testing of your strategy that you build up previously. 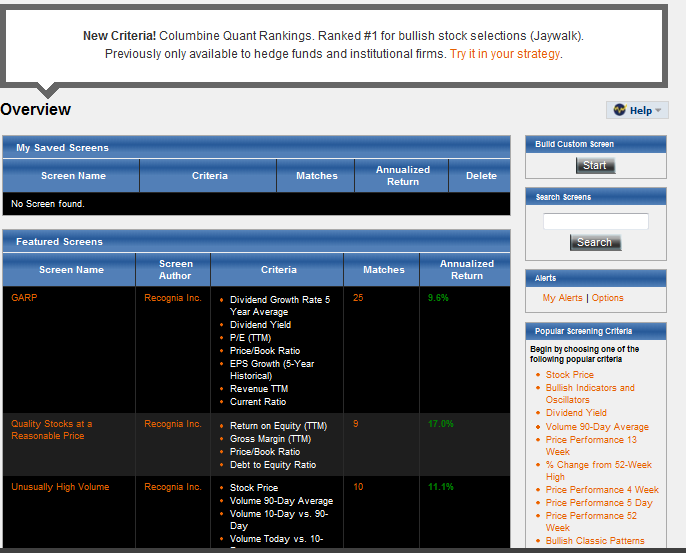 I can compare the performance of my strategy against various benchmarking namely the stock Indexes. 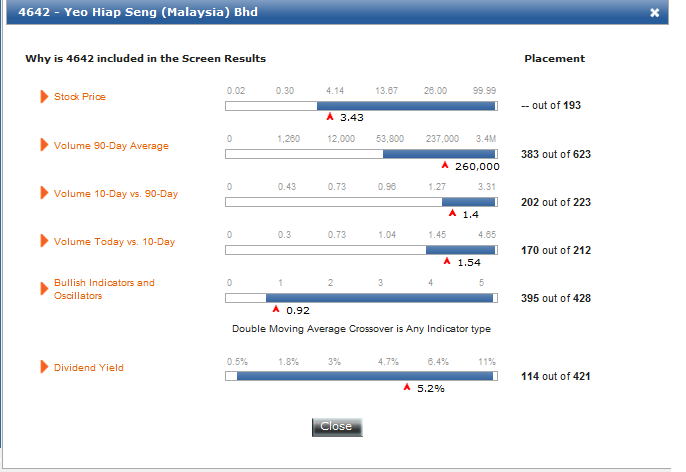 Here I used the KLCI as a comparison to my screening over 2008 to 2012. 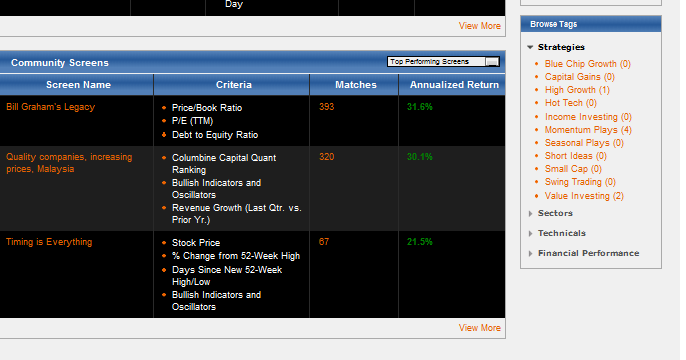 Looks like my strategy only out-perform the index from July 2011 onwards. To produce a good strategy or mechanical system ,it must be subjected to strenuous back-testing against various markets , Indexes and economic conditions. Of course, all the back-testing is just a "projection" of how the returns will be. In real life, the most difficult challenge is the ability to stick to your system regardless of turbulence your portfolio that you might suffer in the unpredictable stock market. Lastly, you can see more related pre-build screens. Conclusion: As the brokerage industry consolidates and competition increases, in order to differentiate their products and services , brokerage companies must be able to provide value added services to the retailers. This could be used to maintain and increase customer loyalty. Honestly, with the age of fast Internet connection, the brokerage commission rate is expected to drop over the years and is not a major differentiator between the brokerage firms. 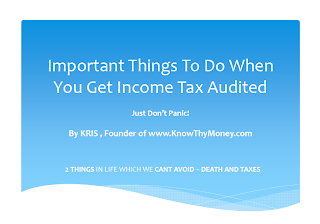 So a excellent online stock system is a MUST. 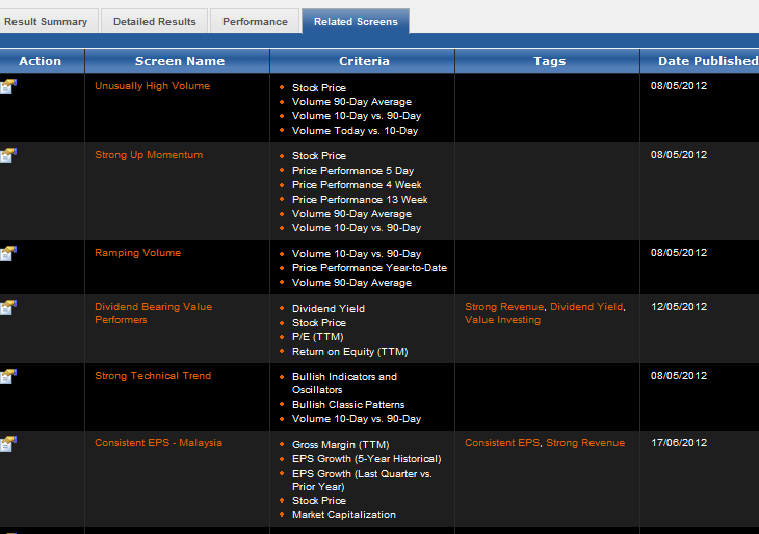 Well, RHBINVEST is certainly going in the correct and positive direction with the introduction of this screener. 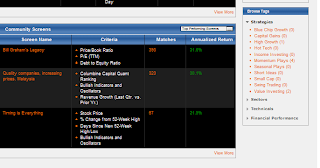 So the next question is how the other brokerage firms are going to respond to RHBINVEST's challenge? ?